Charcoal face masks are incredible and the world needs to know now. As a passionate DIYer, I’ve tried almost any kind of face mask you could possibly imagine: banana, avocado, honey, lemon, egg whites, aloe vera, strawberry, bentonite clay, coconut oil, coffee grounds, the list goes on. I think I’m pretty well versed in the beauty and health benefits of certain foods (and minerals), but nothing could possibly prepare me for this. 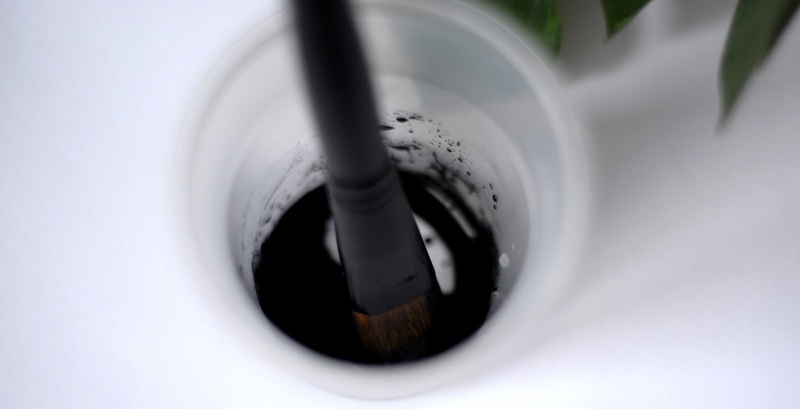 So what makes activated charcoal so awesome? Well, activated charcoal is similar to common charcoal, but is made specifically for medicinal use. To make activated charcoal, manufacturers heat common charcoal in the presence of a gas that causes the charcoal to become very porous. The charcoal is ‘activated’ with a negative charge and it’s adsorptive surface acts like a magnet to pull and draw out toxins making this a detox must try. Activated charcoal has the awesome ability to adsorb 500x it’s weight in impurities so it is a powerhouse when it comes to treating acne prone skin or detoxing the body. Note: This method is often used as a teeth whitener as well. I tried to last night, and I’ve never seen such quick results (and I’ve been coconut oil pulling for some time now). Directions: You’ll need to purchase activated charcoal from your local health food store or drug mart. You can buy it in powder or capsule form. I prefer the capsule form myself, it’s easier to measure and less messy. That’s literally it! Open a capsule or two, empty it into a small bowl and add some water to make a runny paste. Some advise not to use a metal spoon or utensil to mix it to avoid ‘affecting’ the charge the charcoal has, so play it safe and use a plastic spoon or popsicle stick. Now be careful, it can get messy. To avoid the mess, I apply this mask with a brush (one of the small ones they give you when you buy a Blush or Bronzer that are for sale at Ulta for relatively cheap) works so well. Apply it to the skin, make sure to not get it in your eyes! Wait 10-15 minutes, and wash off. When I was rinsing, I noticed little black speckles on my face, and I was amazed how the charcoal got into literally every nook and cranny on my face and drew out all the bad stuff from every pore! My skin felt so smooth and clean after! If you don’t have the time to do the mask yourself, or aren’t into DIY, never fear, the beauty market has been bombarded with charcoal products in cleansers, bar soaps and masks. I would recommend Lush or Origins masks. In the DIY sphere, there are so many crazzzzy natural and holistic remedies for your skin (trust me I’ve tried them all!) but none of worked as well as activated charcoal. Try it! You won’t be disappointed.